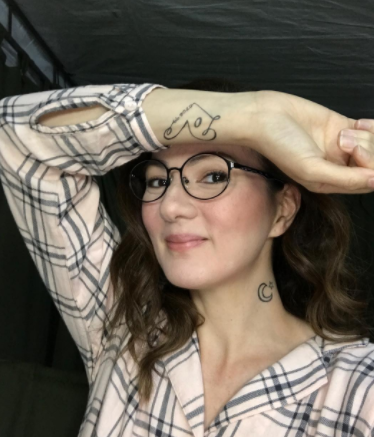 Carmina Villaroel nagbabalik Kapuso GMA-7 after 5 years, Alamin ang Dahilan! Home / Entertainment / Carmina Villaroel nagbabalik Kapuso GMA-7 after 5 years, Alamin ang Dahilan! Actress-TV host Carmina Villarroel returns to GMA-7 after five years. She will be part of the upcoming fantasy-drama series Super Ma'am, starring Marian Rivera. 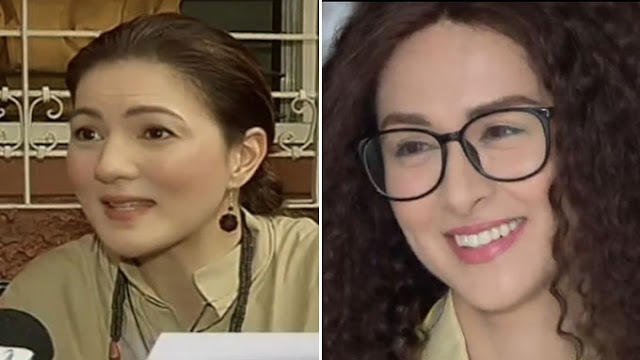 In an interview with 24 Oras, the 42-year-old TV personality shared her excitement upon getting the chance to work with Marian for the first time. She admitted, "Excited ako sa role ko. Excited ako to work with Marian. It's my first time, first time ko siya makakatrabaho!" Carmina is cast as the mysterious lady Ceres, a woman who plays a big part in Marian's character Minerva and her transformation to becoming a superhero. 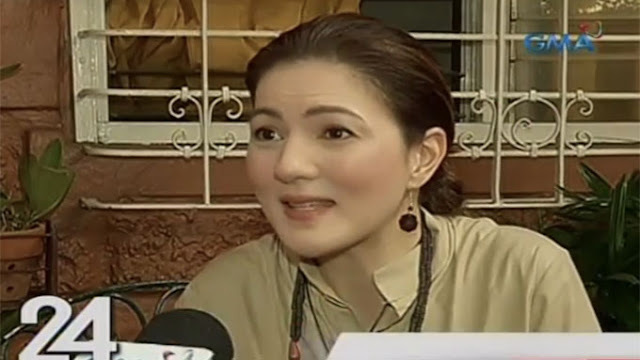 Carmina said about her role, "Dahil hindi siya magiging super, slight super lang, kung hindi dahil sa character ko." 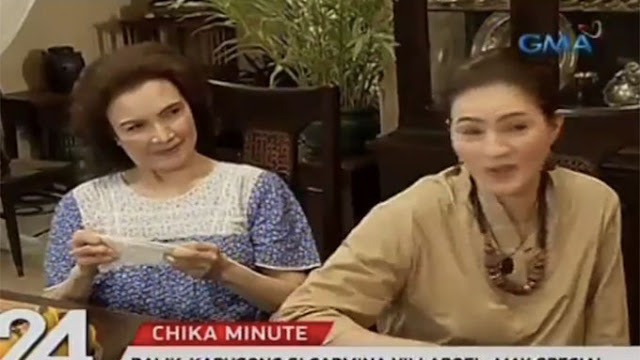 Snapshots of the 24 Oras report showed that Carmina has already taped scenes with Marian and Helen Gamboa. Carmina's return to GMA Network started with a guesting in the public affairs episodic program Road Trip together with her husband Zoren Legaspi and children Cassie and Maverick. Carmina was originally a Kapamilya in the '80s and was included in the sitcoms Palibhasa Lalake (1987), Abangan ang Susunod Na Kabanata (1991), and Oki Doki Doc (1996). In 1998, she signed up with VIVA and was launched as a lead actress in the soap operas Ganyan Kita Kamahal and Halik Sa Apoy, both aired in the same year on GMA. In 1999, Carmina returned to ABS-CBN to do an antagonist role in Esperanza. She was then given her own afternoon series Recuerdo de Amor in 2002, with Diether Ocampo as her leading man. In 2003, she decided to return to GMA and did several TV shows like Narito Ang Puso Ko (1993), Darna (2005), Majika (2006), and The Last Prince (2010). She was also tapped as one of the hosts of GMA's morning show Sis in 2004, which ran until 2010. Carmina's last teleserye before transferring back to ABS-CBN was Pahiram ng Isang Ina in 2011. When she transferred to the Kapamilya network, Carmina was able to do the teleseryes Lorenzo's Time (2012), May Isang Pangarap (2013), Got 2 Believe (2013), and Bridges of Love (2015). She also hosted the programs Showbiz Inside Report (2012) and Buzz ng Bayan (2013). Her last two projects with the Kapamilya network were the teleseryes Till I Met You (2016) and Doble Kara (2015-2017), wherein she had a recurring role. Meanwhile, the teaser of Super Ma'am revealed that it will air its pilot episode this September on GMA Telebabad.